Stolen and illegal phones are used throughout the country and for the control of that Pakistan Telecommunication Authority (PTA) has notified ‘Mobile Devices Identification, Registration and Blocking Regulations, 2017’. It is to ensure that no duplicate or non-identified mobile phones are in use. 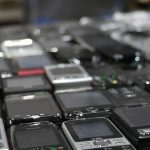 A Mobile Devices Identification, Registration and Blocking System (DIRBS) is to make sure that non-compliant mobile devices are not allowed to be sold or marketed, imported or connected with the mobile operators’ networks. The purpose of this action is to ensure the safety of mobile phone users throughout the country. Unauthorized, stolen or illegally imported phones will be shall be held up mobile network operator (MNO) from the use in the country. The mobile licensees will identify unauthorized phones. They will update an industry-wide database with information about such stolen and illegal phones. This will benefit the mobile services sector worldwide. Standard operating procedures (SOPs) which are a step by step guidance procedure will be followed for the operation and execution of DIRBS at all levels of management. The DIRBS will have the necessary hardware/software required to make the necessary analysis. The analysis will be able to identify non-compliant mobile devices. The system will comprise a core analysis system, which will be combined with subsystems to support verification of IMEIs by stakeholders, registration of IMEI paired exceptions, and import of various inputs including operator device data dumps, GSMA device database, importer device lists, and stolen device lists. An analysis will be performed to allow for identification and tracking of noncompliant devices in accordance with these regulations. PTA will provide an interface of verification system to identify and register IMEI. It will appear to identify whether or not the device is a compliant mobile or not. Any blocked mobile device will not be activated unless a case of theft or lost and type approved devices which are verified by the MNO and DIRBS , according to SOP approved by the authority. Subscribers may report their lost or stolen mobile devices and get them blocked on the helpline of MNO.